Facebook has made its first move to integrate virtual reality onto the main social network, confirming that users of its VR app Spaces will now be able to broadcast themselves on a live video. Spaces is an Oculus-only app that lets users sit in a virtual room, chat to friends, watch videos, and draw. Facebook built it as a social environment for VR users, who primarily play video games. When the space is broadcast, non-VR viewers look in on the virtual room and send interactive comments. VR users can pick the comments up in the room and change the details. Facebook hopes that the integration will introduce more users on its two billion strong social network to virtual reality. “It’s really a way to break down this barrier between VR and non-VR,” said Mike Booth, product manager for social VR at Facebook, to MIT Technology Review. Estimates range from 400,000 to 700,000 Oculus Rift sales so far, which is good for VR but not great when compared to Facebook’s usual numbers. 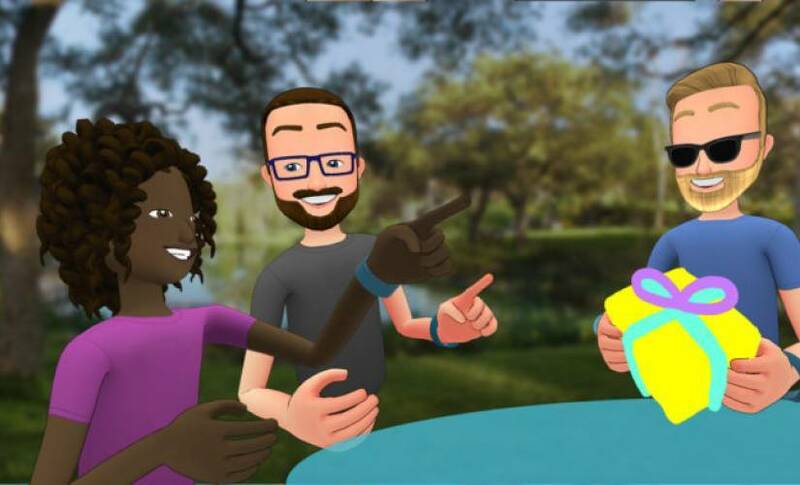 Spaces users have said that the app can be quite a lonely experience if you do not have friends that own a VR headset. While the introduction onto Facebook should boost the numbers of people watching Spaces, most of the interactivity will be walled off from non-VR viewers. Oculus main target demographic remains PC gamers, but the next hardware versions may tailor to mobile audiences, which are more engaged with non-gaming content. Things like virtual rooms, where users can interact with the environment, are good starting grounds for newbies.